We did a short hike in this great preserve near our house. 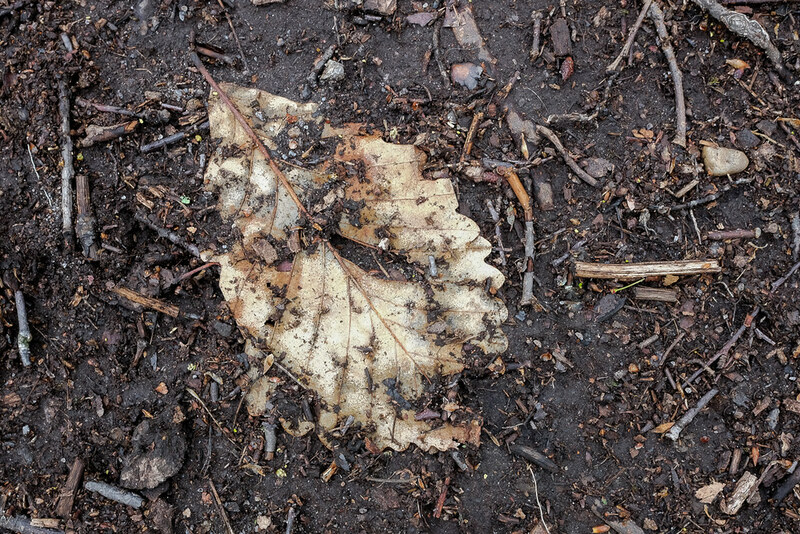 It had just rained and the trail was muddy in places and the detritus left on the trail stood out in the mud. This crumbling chestnut oak leaf caught my eye.